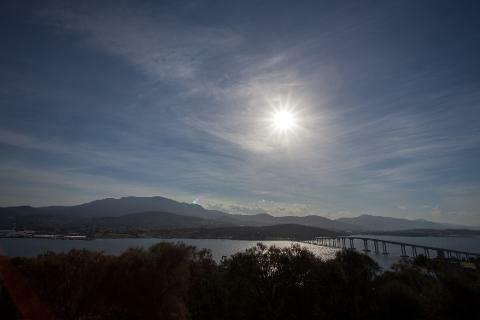 Today is action packed and fast paced, so we make an early start from Hobart and drive directly to the stunning Tasman Peninsula. This area has amazing history, fascinating stories and spectacular scenery. It is also home to Australia’s highest sea cliffs. 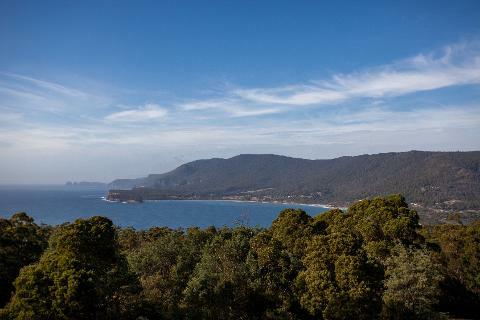 We enjoy the panoramic views of the area from Pirates Bay Lookout which provides a great vantage here of the surrounding area. 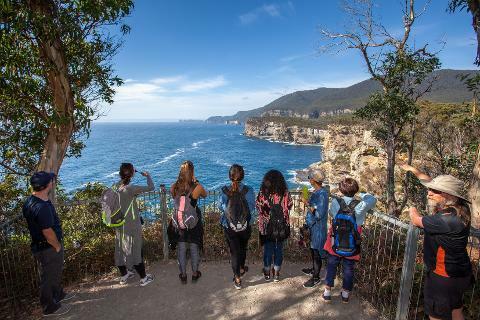 Passing through Eaglehawk Neck and “The Dogline” our Tour Guides will share with you some truly amazing history and stories of the area. Then we begin one of Tasmania’s “Great Short Walks”. We follow a spectacular track, of around 2 km’s along the Waterfall Bay cliff top. The walk takes around 45-60 minutes, is undulating, but categorised as an easy walk. The track concludes at the remarkable rock formations of Tasman Arch and Devil’s Kitchen. 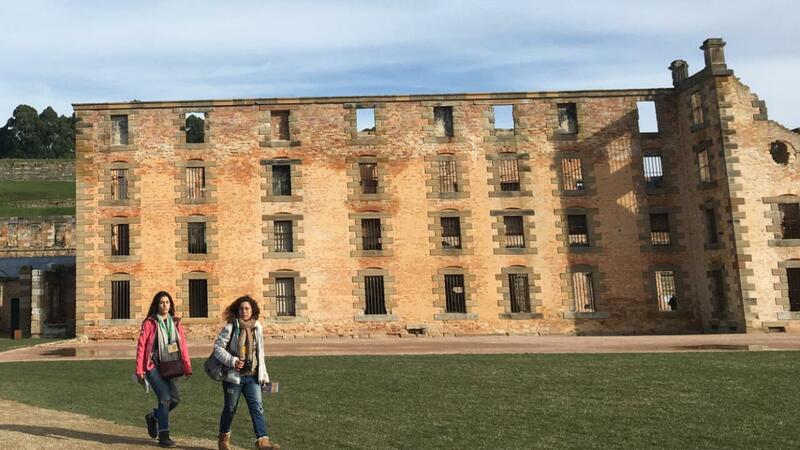 Continuing our journey, we arrive at the Port Arthur Historic Site. 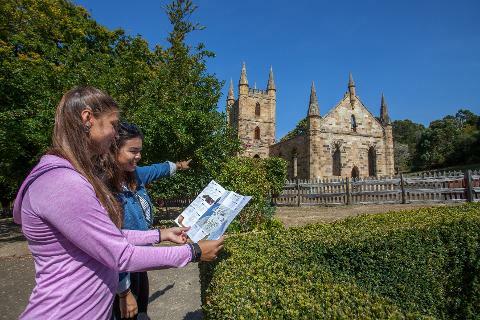 As we enter the Port Arthur Historic Site, there is a wealth of information and history to take in and you will have ample time to explore and discover the nooks and crannies with around 4 hours on site. Your entry includes a complimentary Harbour Cruise around the Isle of the Dead and a guided walking tour with one of the Site’s expert guides. 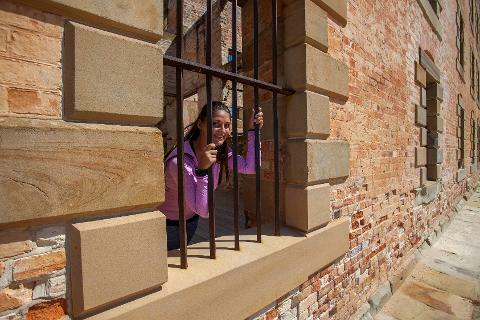 Discover the grim and violent history of the early Australian Penal system and get a sense of the isolation experienced by the convicts in this “inescapable prison”. 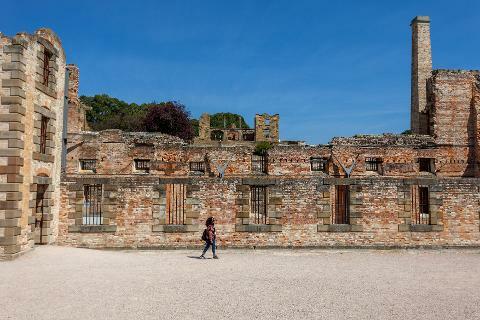 With around 4 hours here, you have ample time to walk amongst the main penitentiary; see the solitary confinement cells and many more buildings in this World Heritage open air museum. On our return to Hobart, we make a stop at Federation Chocolate Factory, a small family run boutique chocolate stop, with a variety of chocolate flavours to sample. Further along we arrive in the late afternoon into historic Richmond Village. 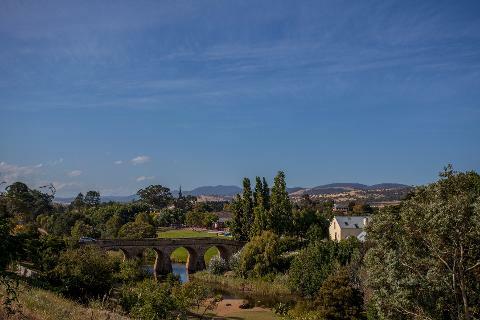 Meander the streets, stop for a coffee, visit the Lolly Shop and walk across Australia’s oldest bridge still in use – a convict built sand-stone bridge, reported to be haunted! We drop you back to your Hobart City accommodation around 6.00pm. You may bring your lunch with you or there is plenty of opportunity to purchase food and drinks from the Port Arthur Historic Site. 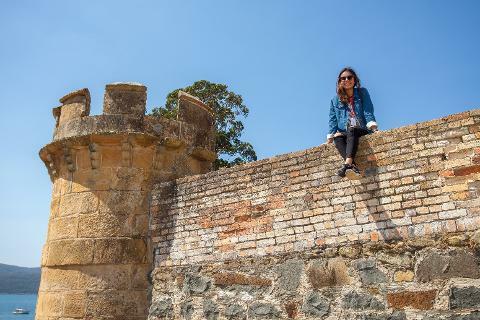 Select the upgrade to the Port Arthur & Devils day tour and you will reduce the time you spend at Port Arthur Historic Site and swap this for time at the Tasmanian Devil Unzoo. We time your visit here to experience the Tasmanian Devil feeding and with time to wander the park. 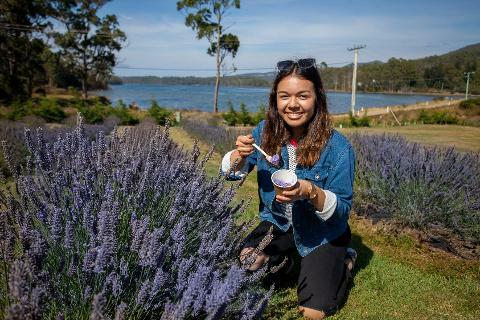 Select the Port Arthur Lavender tour option and enjoy the stop at the Port Arthur Lavender Farm. Wander the site, sample the Lavender flavoured chocolate and fudge.